Today’s 5 Things Friday (which I hope I will follow through on forever and ever) features some finds from a handful of Japanese drugstores on my last trip to Tokyo/Osaka. If you have never shopped around a Japanese drugstore, you have never known real joy. (Just kidding.) I think you can tell that I really held back this time around. 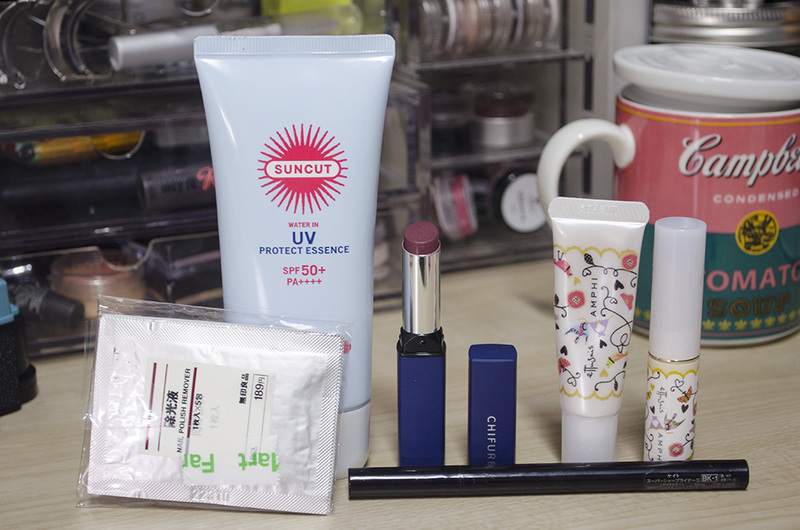 These are actually pretty practical finds, except for the lipstick… so I’m pretty proud of myself. Heh. I actually have six things here, but let me explain. I picked up the MUJI Nail Polish Remover, which are basically just packets of sheets doused in nail polish remover. My polish was driving me nuts, so I was happy I saw these at a Family Mart! I think they might be acetone-free; the formula was definitely more oily than alcohol-y. Next up is the Suncut Water in UV Protect Essence, which is just facial sunscreen. They have an abundance of these. I just picked one up with a high SPF. I got a 2 for 1 deal the KATE Super Sharp Liner, which Tellie loves (I think? ), and these lip products (lip essence in stick and gloss form) from Ettusais that are both cute and have SPF. 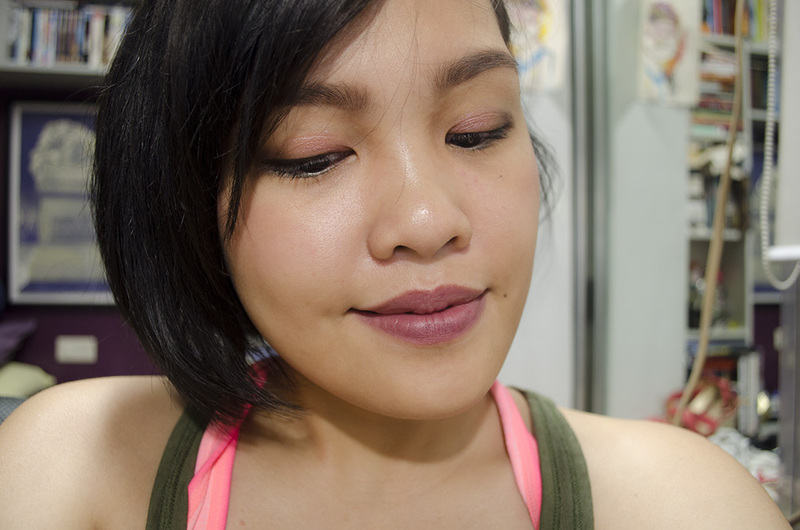 It’s a mostly matte mauve with a bit of very fine sparkle that I don’t even see, except for in the tube. How well did those sheets work? And: your mug!